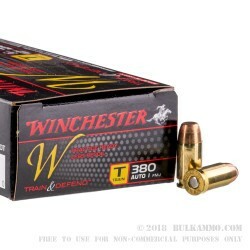 Winchester Train and Defend seems like a really smart move. The concept is an interbrand consolidation of options for the consumer market. 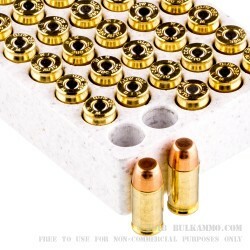 Training ammo (FMJ or full metal jacket) that is paired ballistically with corresponding defensive loads (JHP or jacketed hollow points). 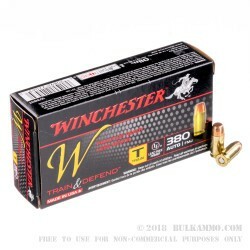 This FMJ training 380 ammo is designed to feel identical to you, the shooter, when compared to the corresponding JHP ammo. That means your practice will be similar as possible to the real-world scenario where you’d choose the more sophisticated hollow point bullet. Just make sure to account for your faster heart-rate! This round is a very soft shooting, hard working round that can be used in a variety of new and broken in .380 Auto firearms. 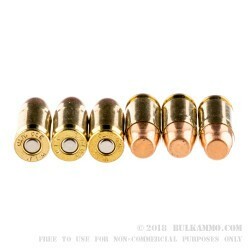 The unique attributes make it a very good candidate for your hard to feed compact .380’s when other brands have failed to reliably cycle the gun. It’s a straightforward load that isn’t too impressive on the surface but has the reliability of 150 years of making ammunition behind it. The 95 grain FMJ round tends to be a bit more forgiving than most factory rounds with reduced recoil, but the mix of powders and the good projectile choice makes this a good round for training.